The number of people who search the internet for the model agency is increasing day to day. Because modeling business is very competitive and fast moving business for the past decade. Its right time to start online model agency business by using our Model Artist Gallery Script and all agency business owners can earn more income every year. Our Model Agency Classified Script provides a unique business solution that is readymade for the fashion and modeling industries. 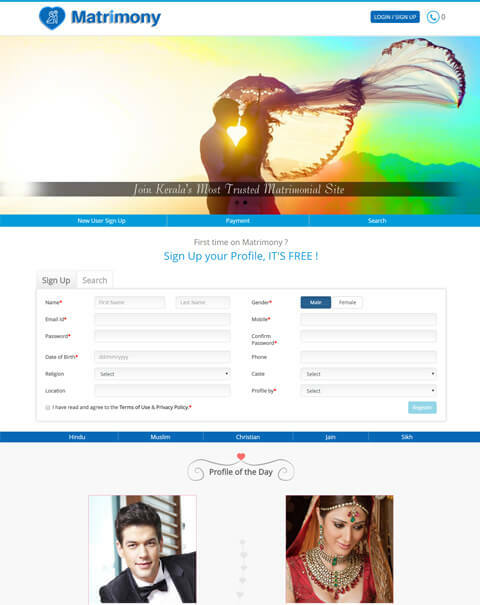 Through this model website script, with the simple registration formality and creative portfolio maker, every model can submit their vital details such as profile picture, personal details etc, to the model agency website. 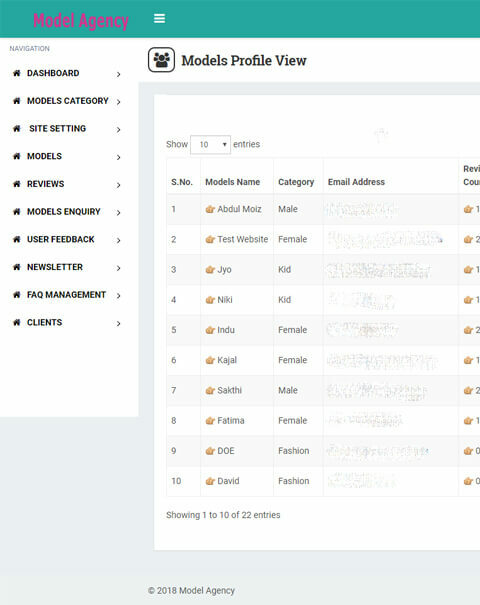 With the varying search options like Age, Country, City and model types, the user can easily search the modelings. Those who are in hiring models to display fashion wear, create advertisement, shooting commercials etc, they can choose our user-friendly Model Agency Classified Script. Our Modeling Script has many good features that help to find better modelings. 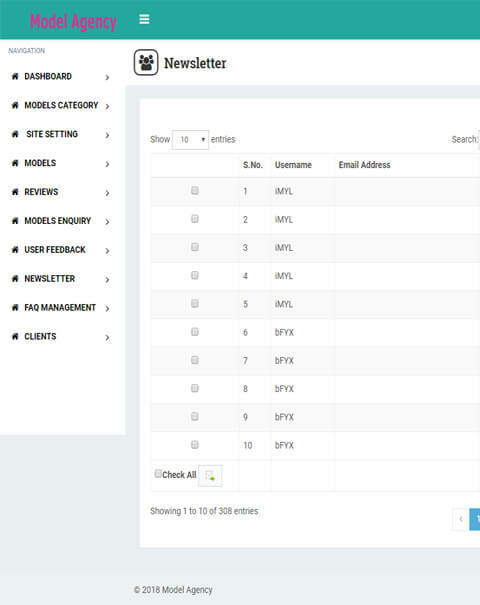 This powerful script makes it easy to manage your models, agencies, payments, services and site content. 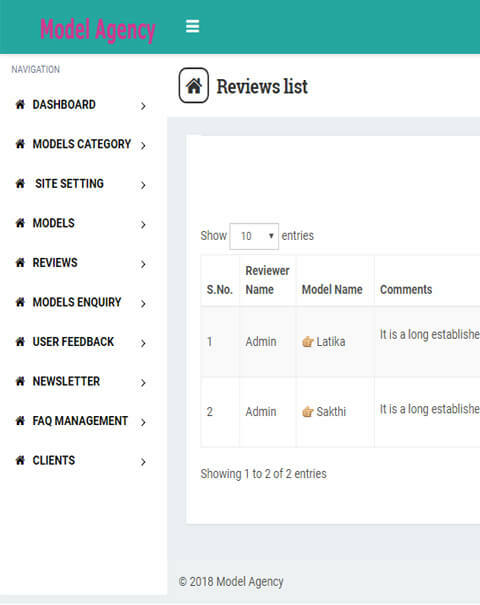 In our Models Directory Listing Script, the admin can easily add the module and manage their profile safe way. 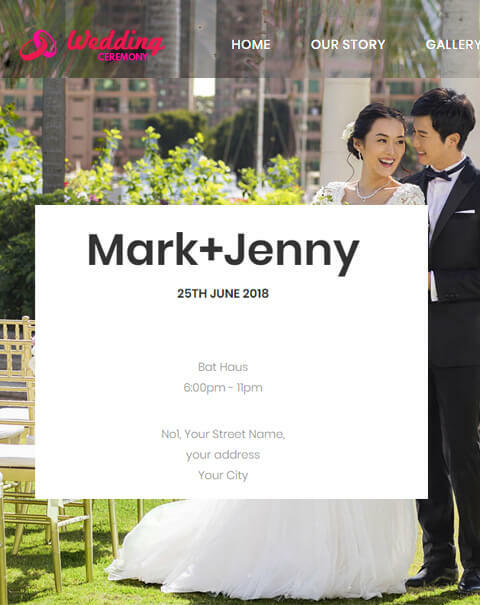 Admin plays a major role in managing the users, location, and category.Customization of the script is also possible according to the client requirement and business concepts.The main two advantages of our script are SEO friendly and mobile responsive. The code has been optimized according to rules and regulations of Google. S0 it is 100% safe from hackers and malware. The fashion and modeling industries can be extremely competitive, but by using our Model Agency Classified Script, the website owner can gain an advantage over many competitors. 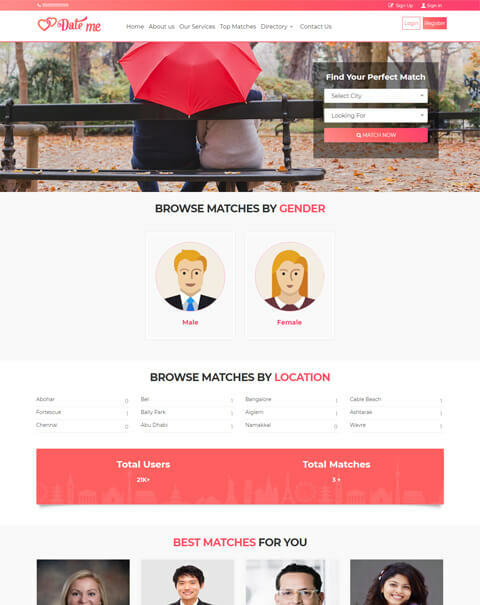 Also, the professional design and ease of use work to attract sharp models seeking to win employment with savvy fashion and modeling agencies.The revenue model of the Model Scriptis premium and featured member ads, Google Ad sense integration, affiliate banner and link ads. 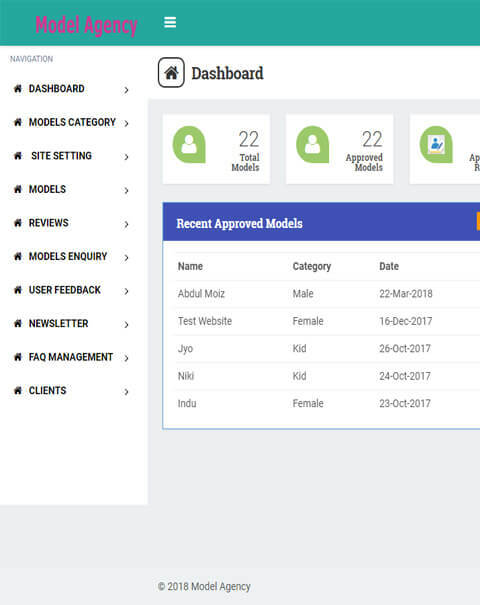 Our Modeling agency script plays an important role in gaining high profit for the entrepreneurs.Our model website designer has designed and developed to provide the innovative business solution for the model agencies/ professional modelers. The main advantage of our Models Directory Listing Script is, we provide 1-year technical support, free updates of the source code for the 6 months. We have more than 15 years of experience in web design development industry with 40 members of the development team. We deliver the best ModelingScript to the clients with the best quality and low price. Our Model Artist Gallery Script is easy and reliable for the users to access the site without any struggle. Once you buy our Model Agency Classified Script from us then your website will be live within 24 hours. 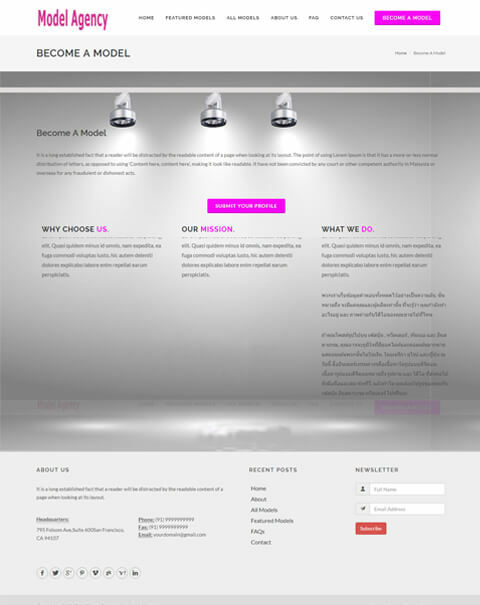 Our Model agency script is easy and reliable to the users to access the site without any struggle. Design quality is really good, lots of customization opportunities. I am using the site with wc vendor to get the multi-vendor features with front end submissions. As I wanted a custom setting that I couldn’t make on my own. 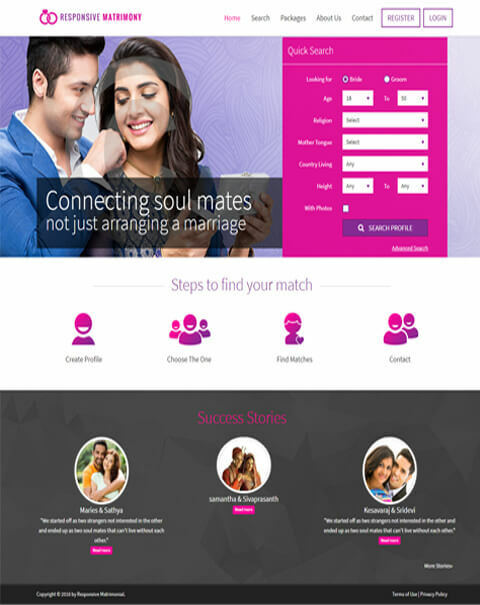 Thanks for PHP Matrimonial Scripts.